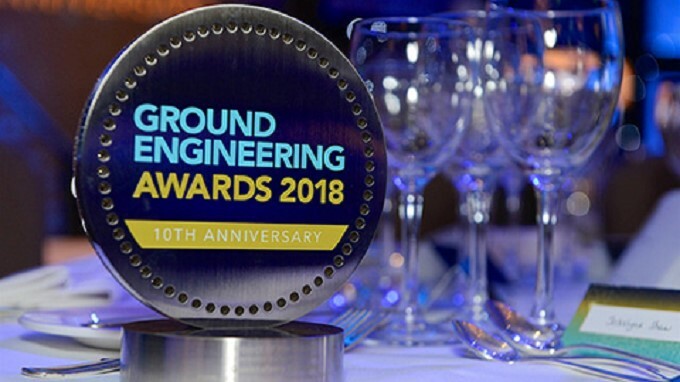 VertaseFLI are proud to have received a High Commendation Award for Technical Innovation at the 2018 Ground Engineering Awards held in June. Focussed on our technical innovations in waste processing and material re-use to facilitate landfill remediation projects, the award entry was shortlisted as a finalist along with three other separate award entries that were made by VertaseFLI into other categories (Award for Ground Investigation Project of the Year and Award for Health & Safety). Judges commented that our entry for Technical Innovation “demonstrated an innovative new separation process that has significant potential for cost and environmental benefits and will enable remediation and redevelopment of sites that were previously considered cost prohibitive”.